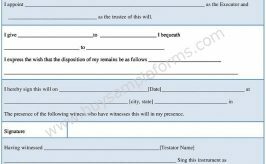 A lease form format helps in the leasing process .It is a document used for outlining the terms and conditions of the lease. It signifies the agreement between the lessor and the lessee. 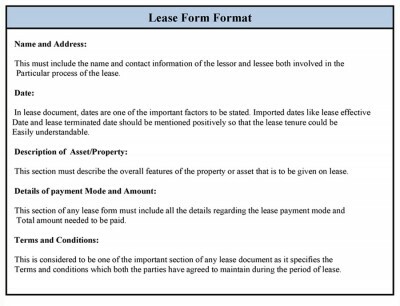 A lease form format authorizes the lessee to possess and use the asset owned by the lessor for a certain period of time without gaining ownership. Such a form specifies the name of the parties involved in leasing of the assest, duration of the lease, payment details and so on. The lease can be related to property, building, equipment, automobiles etc. The lease agreement format should be prepared in a professional way and according to the respective laws of the state. 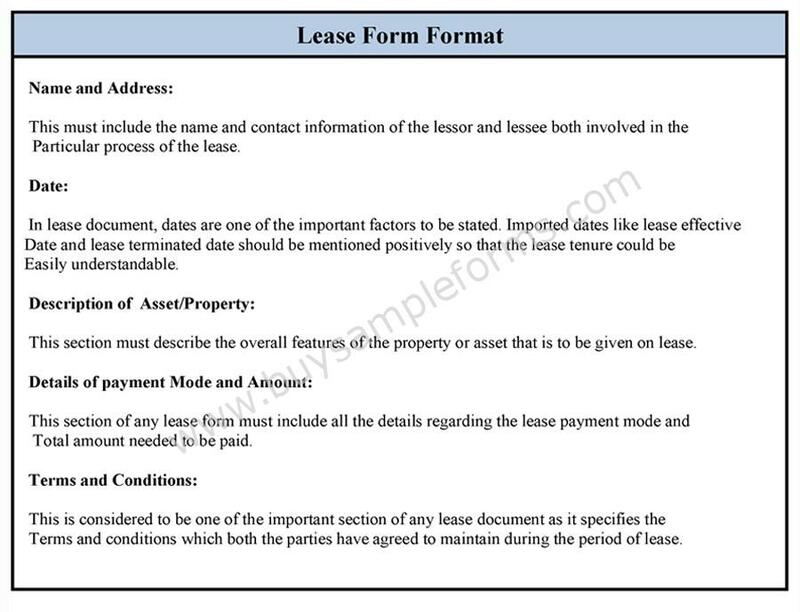 An example lease form format is given below. 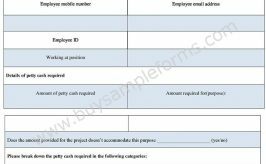 A commercial Equipment Lease Form is an agreement between parties where one party leases the equipment for use by the other party for a definite time period. Auto lease also known as car lease or vehicle lease agreement involves leasing of a vehicle for a fixed period of time. It may happen that a tenant may have to move to another city because of his job or other reason, in such cases he will have to assign the residential lease to another person. Whenever the lessor and the lessee desire to change the terms of lease agreement, an amendment to lease form is used.